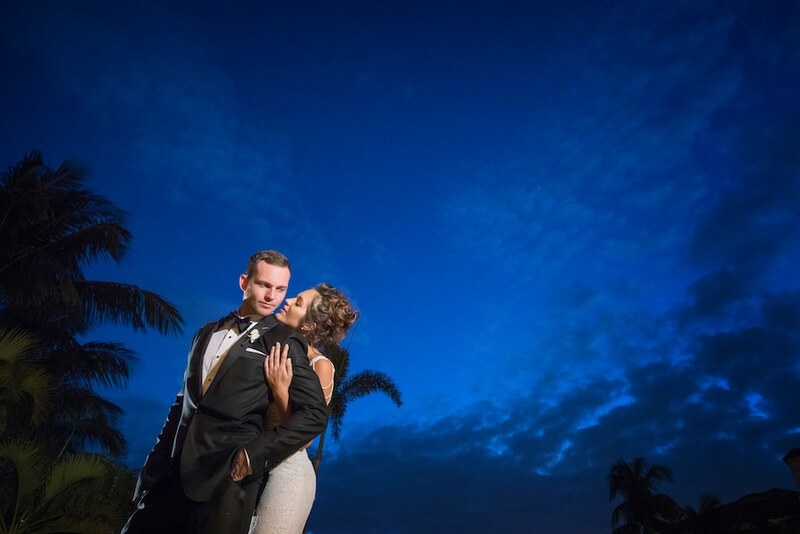 Full of subtle shimmering elements and lacy luxurious details, Brianna and Matt’s glamorous Miami wedding was a chic, feminine dream and we were thrilled to provide a wedding gown for the classy occasion. 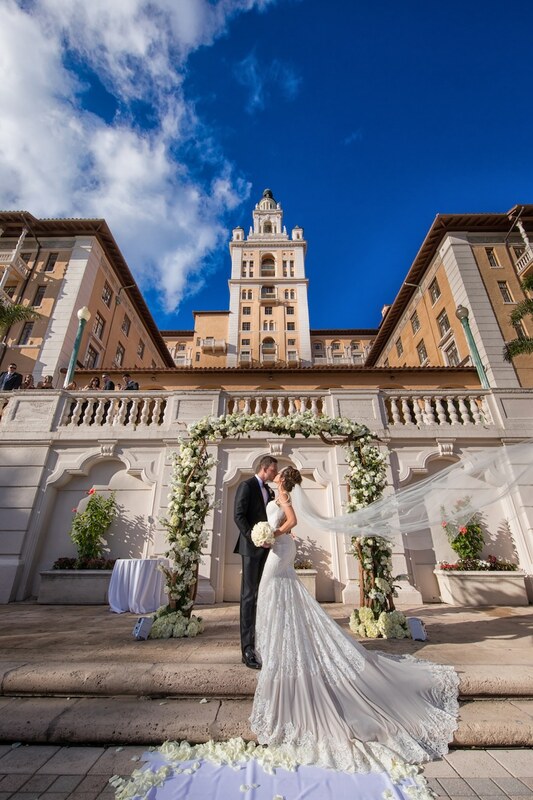 The stately Miami Biltmore Hotel was the picture-perfect backdrop for the affair, with a regal mahogany interior and a stunning Spanish-inspired seaside courtyard. The two lovebirds tied the knot in style and we can’t wait to share all the details. Keep reading for a glimpse into their big day! Bride Brianna was fitted to perfection in her “Nobility Gown” as she glowed with anticipation. All eyes were drawn to her radiance as she stood beaming with excitement, clutching her lavish Petal Productions bouquet in hand, ready to make her way down the aisle. 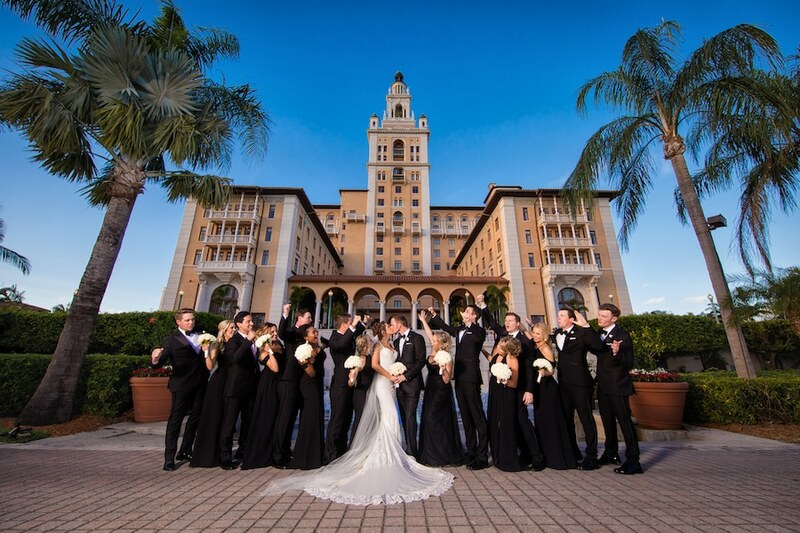 The handsome couple exchanged vows in the seaside Biltmore courtyard, framed perfectly by a fabulous floral arch and surrounded by family and friends. Munoz Photography and Diego Stuart Films captured each unforgettable moment in fantastic photographs and heartwarming film, while wedding planning professional B Social Events stood nearby making sure the whole day went without a hitch. 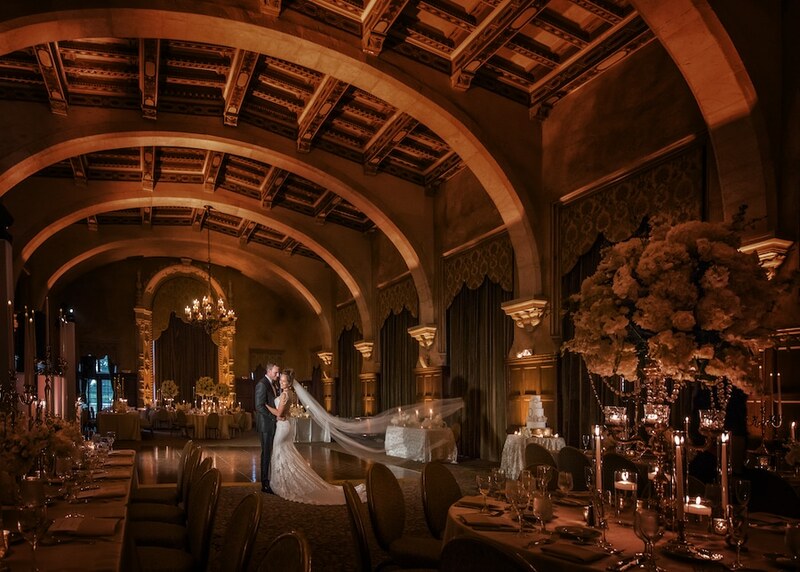 After the ceremony, the guests gathered in the great hall for a reception that would take your breath away. The towering arched ceilings and dimly lit space created a magical atmosphere that made it impossible not to be mesmerized. Family and friends enjoyed an evening full of fun and dancing with music provided by Event Factor Productions, and ended the night on a sweet note with cake by Elegant Temptations. From the pretty pearl details to the glamorous afterparty, Brianna and Matt’s wedding was wonderful in every way. We loved playing a special part in their big day! 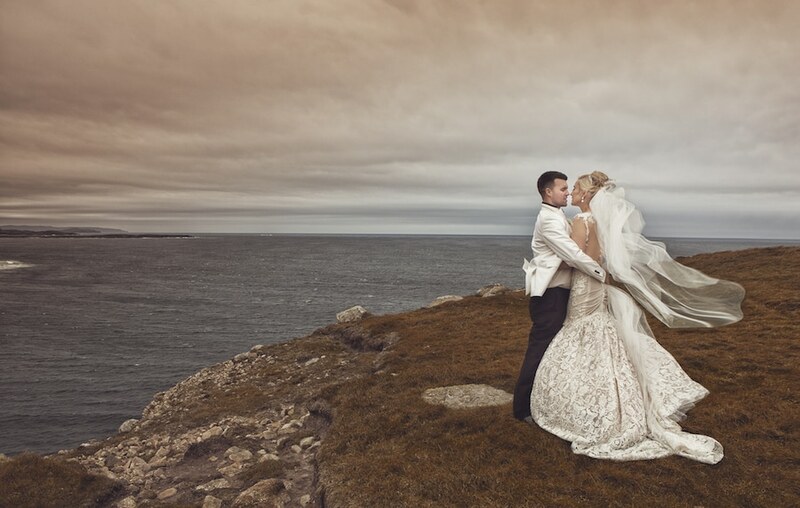 Lacy, dramatic, and sophisticated, this elegant Irish wedding took our breath away. 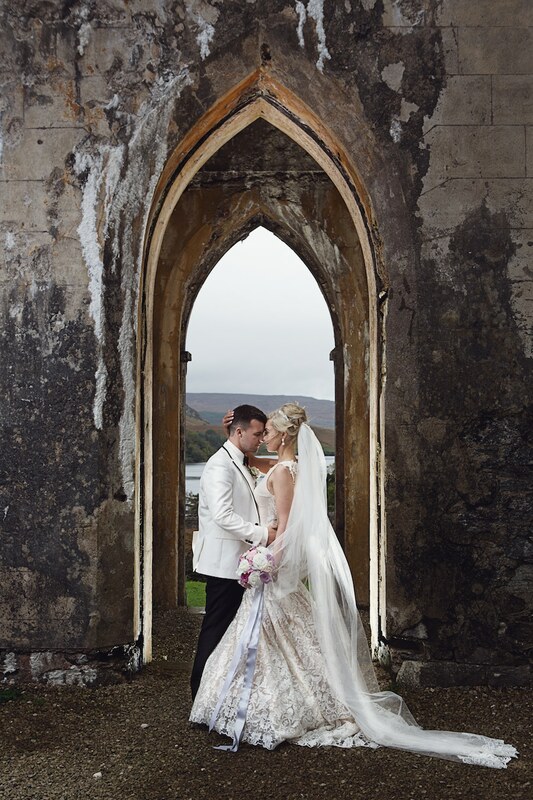 Located in the rolling hills of Ireland, the stunning ceremony couldn’t have been more picture perfect. 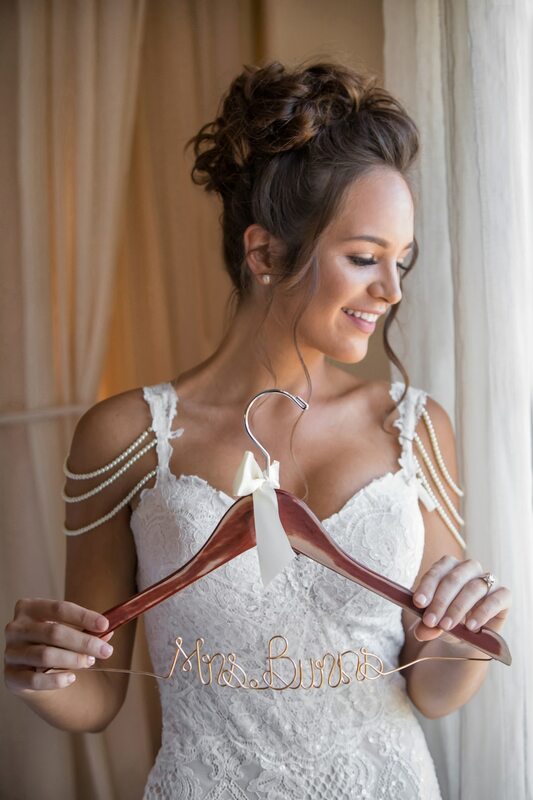 Fitted to perfection, the beautiful bride looked ravishing in her Naama and Anat couture gown, and we can’t wait to share all the beauty of the day with you! 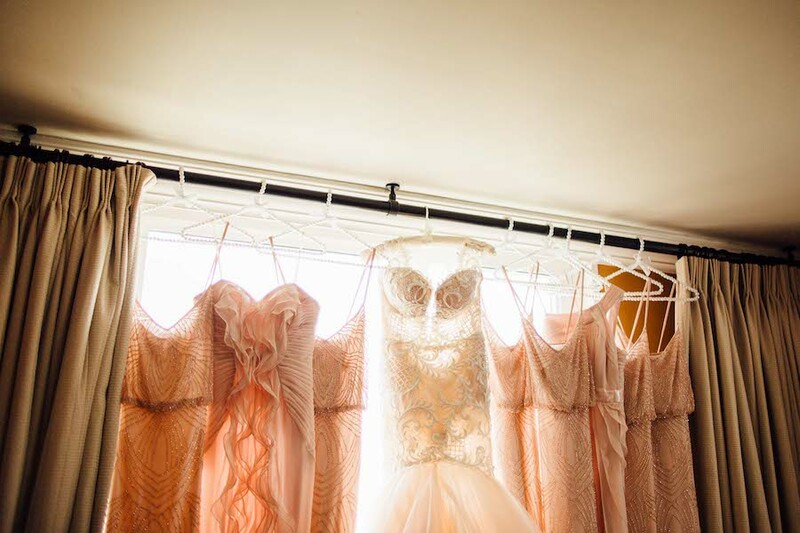 Keep reading for a peek into the beautiful day and a glimpse of the gorgeous photo gallery! 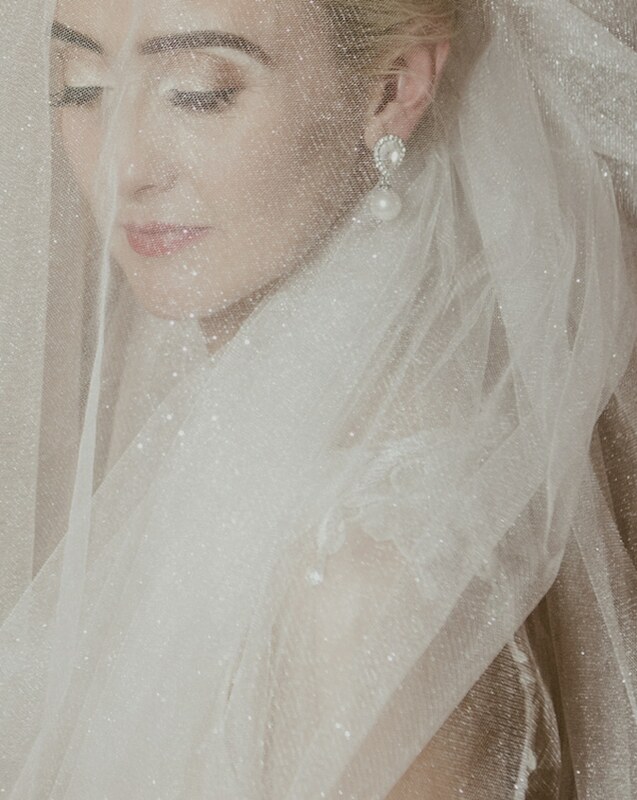 Tucked away in the green rolling hills of Glendowan, Ireland, stood the remarkable historic St. Comcille’s church, where the couple was to wed. Bride Elaine was surrounded by her bridal party as she buttoned up her lacy mermaid style gown and beamed with excitement. With her blossoming pink and white bouquet by Heaven Scent Florist in hand and her breathtaking veil draped over her shoulders, Elaine glided down the aisle with grace and poise towards her handsome husband-to-be. 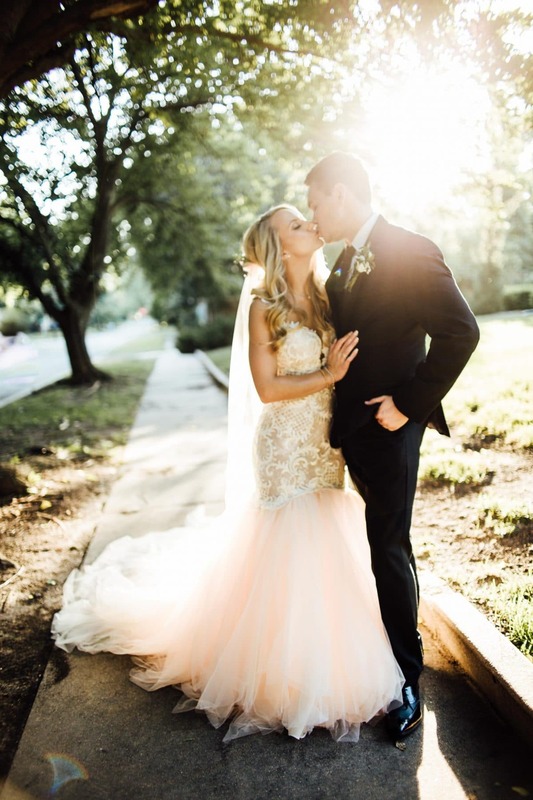 The radiant couple exchanged vows surrounded by family and friends, all while Catherine Mackenzie Photography captured each elegant embellishment and tender moment of the day! After the ceremony, guests gathered at Harvey’s Point to drink, dance, and dine the night away in celebration of the happy occasion! From the pretty pink details to the breathtaking cliffside wedding portraits and everything in between, Elaine and Shane’s wedding was one for the books and we were so happy to be involved! 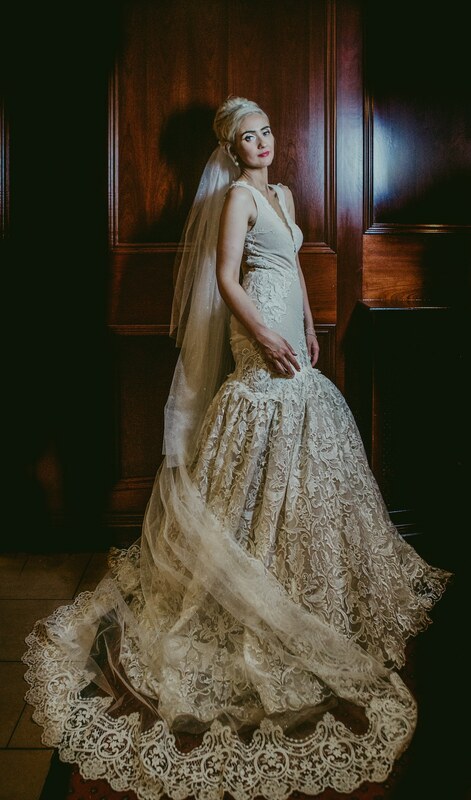 At Naama & Anat Haute Couture, we love tastefully combining elegant fabrics, textures, and color schemes to create unique beauty out of simple elements. 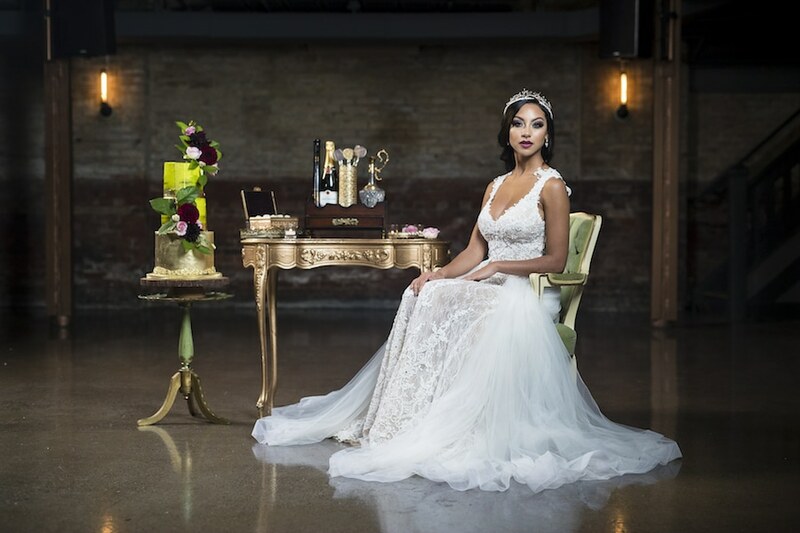 This is a common theme in our dress designs, so we were thrilled to see it come to fruition in this styled shoot as well! 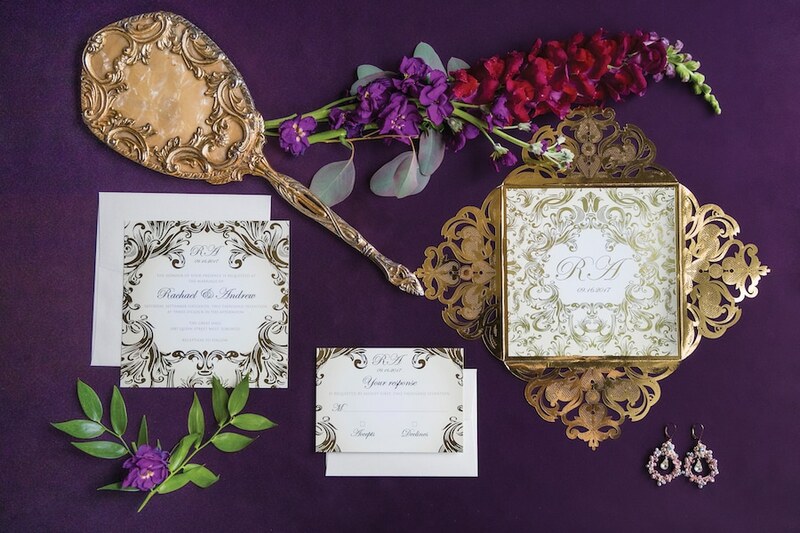 With pops of purple and splashes of sweet green, combined with Victorian-inspired lace and wisps of white, the berry color palette was an absolute dream and we were so excited to play a part! 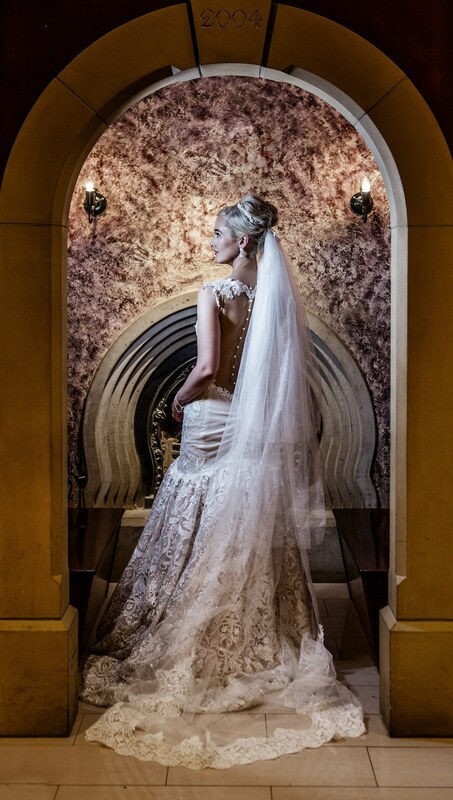 Our team provided a stunningly gorgeous mermaid gown that fit the bride-to-be like a glove. 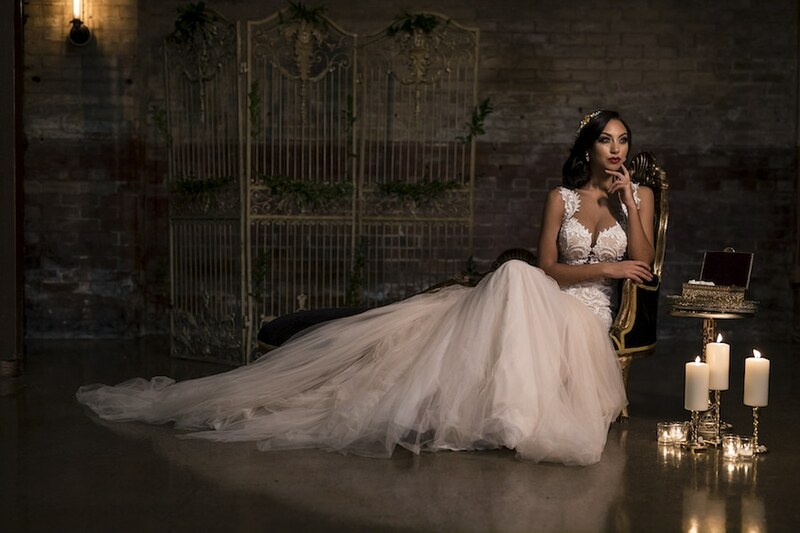 It’s elegant lace bodice with delicate pearl details combined with a full, flowing tulle train was the perfect touch to the whimsical shoot! 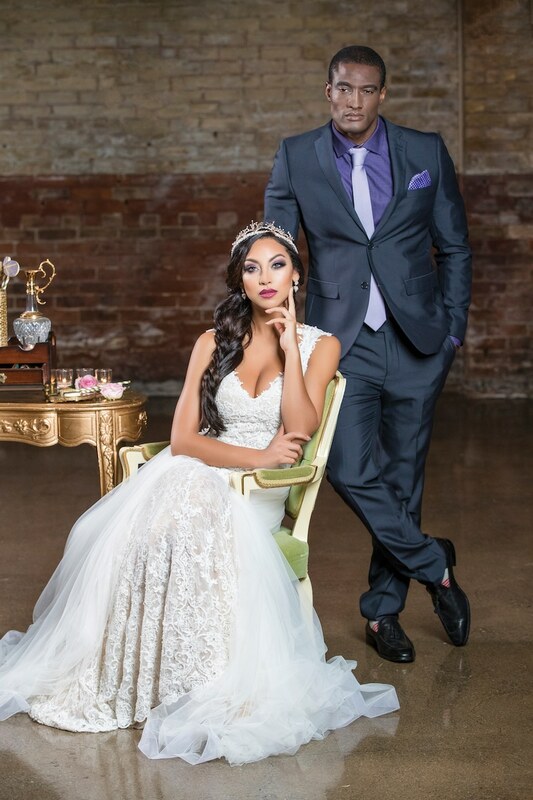 Our friends at Elegant Wedding loved the look as much as we did and included us in their recent feature! Keep reading for a peek at the beautiful photos and an excerpt of the feature. To see all the berry wedding bliss, click here to read the entire story. 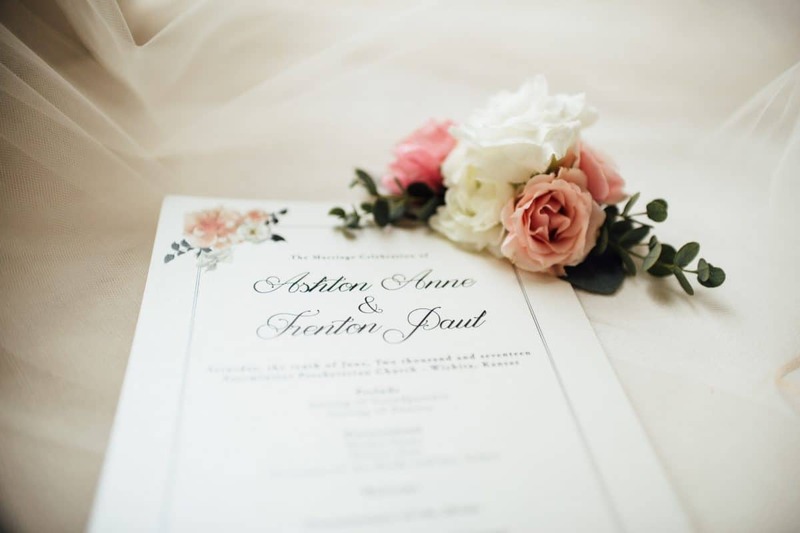 Elegant, pink, and oh-so-glamorous are the words that come to mind when looking back on Ashton and Trent’s classy pink wedding! 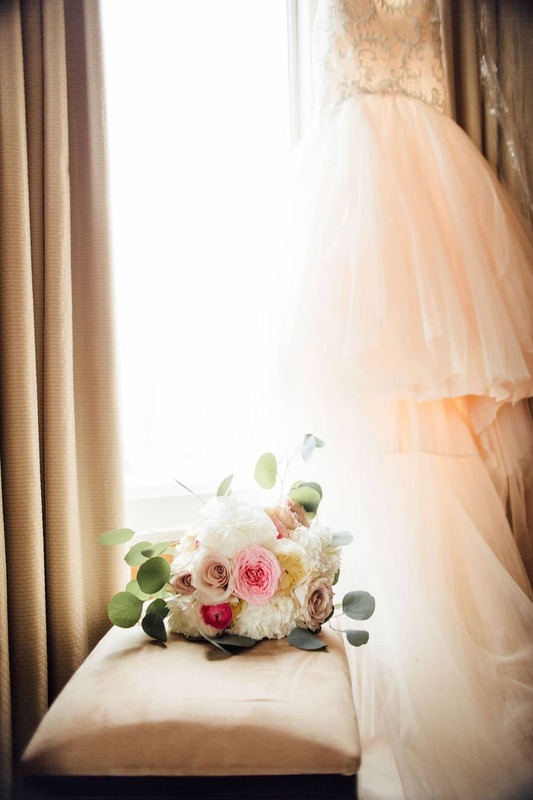 From the elegant, intricate couture wedding gown, to the pretty pink details and flower features, the whole affair was fabulous from start to finish! 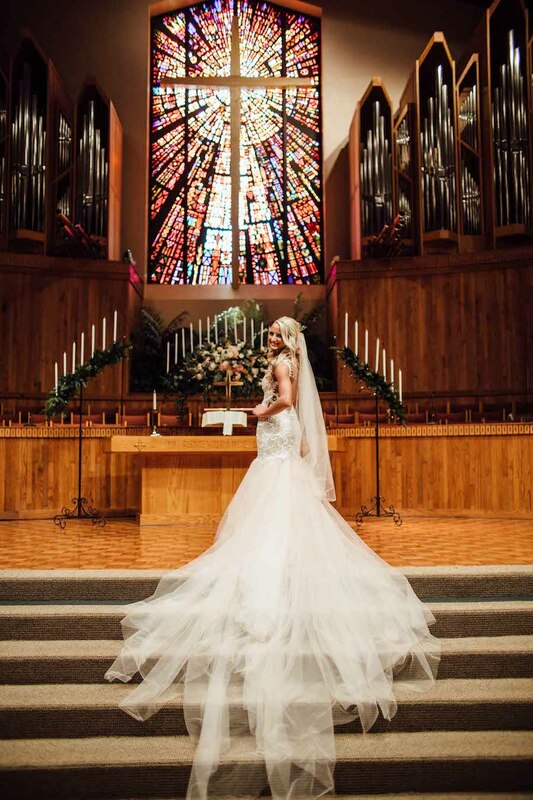 Keep reading to see all the stunning photos and catch a glimpse of the beautiful day! 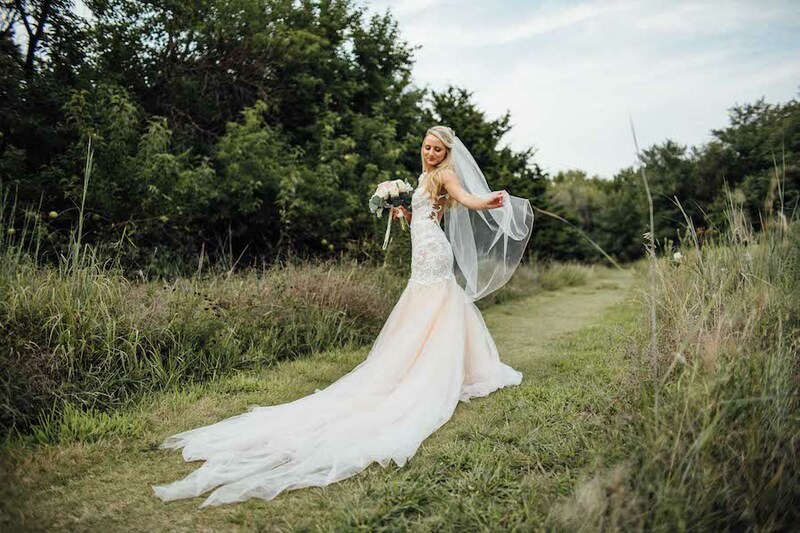 With beautiful blonde curls pinned back to perfection by Shelter Salon, bride Ashton buttoned up her gorgeous gown that was delicately designed by yours truly, Naama and Anat. Surrounded by her bridal party, the giddy bunch was brimming with excitement for the big day ahead. Her makeup was done by Beauty Call Makeup and Ashton was glowing with anticipation as she stood in the sophisticated Greenwich Road church. With an abundant pink and white bouquet by Moore Flowers in hand, she made her way down the aisle to meet her groom-to-be. The pair lovingly exchanged heartfelt vows and sweet smiles, sealing the ceremony with a kiss. 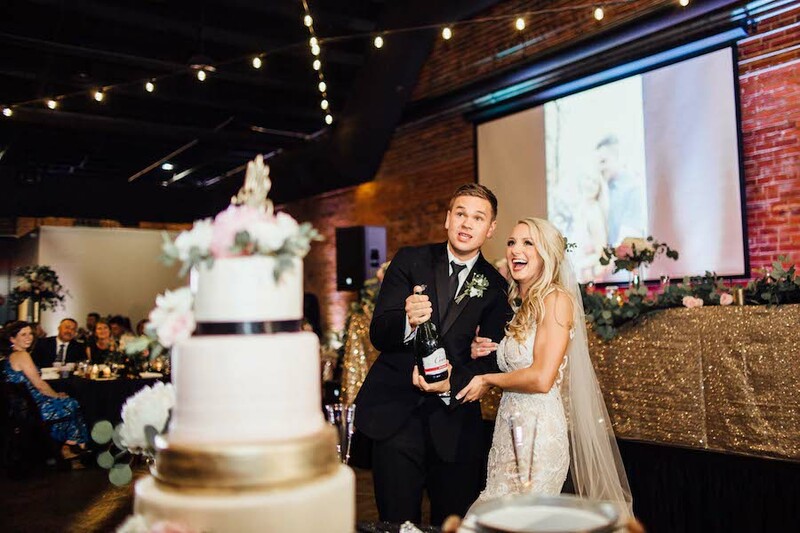 Photographer Emma York captured each excited giggle and glance on camera, while Wild Oak Films filmed all the memorable moments in a highlights reel that will last a lifetime! Family and friends gathered after the ceremony for a night of dinner, drinks, and dancing at the Distillery 244 and they celebrated the night away! 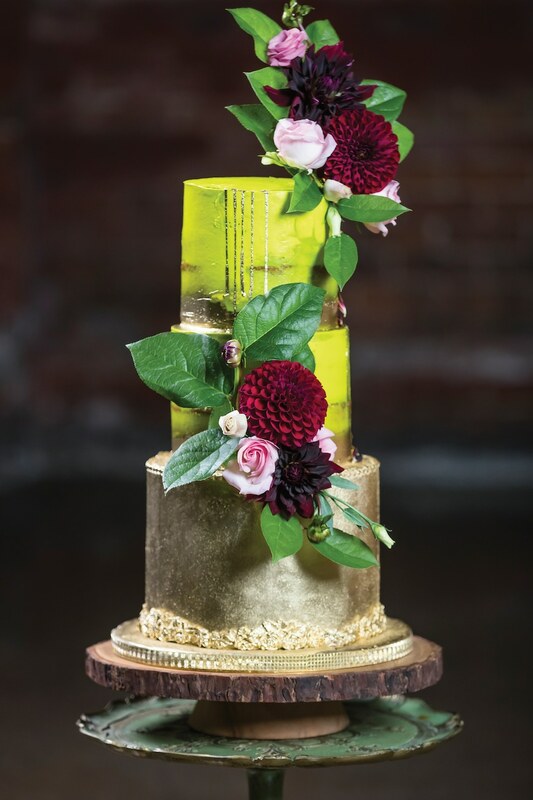 Black Tie Celebrations brought the beats to keep guests on their feet, while Sweetly Scrumptious ended the night on a sweet note with a jaw-dropping wedding cake! From the aisle to the afterparty, the wedding was a pretty pink affair!